Is there a way in Inkscape to set the boundaries of the svg file the way they would be set if you export as a bitmap? I want that there's no whitespace above, beneath, right or left of the object that I select. 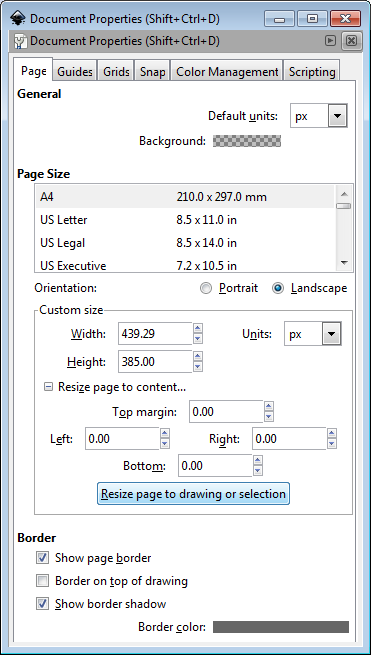 In the latest version of Inkscape (0.92.2 at this time), you can go to Edit → Resize Page to Selection or press Ctrl+Shift+R. You should find the "Fit Page to Selection Or Drawing" there. Left click the shortcut column (blank space) to assign a shortcut. Not the answer you're looking for? Browse other questions tagged inkscape crop or ask your own question.